The votes have been calculated and the results are in. 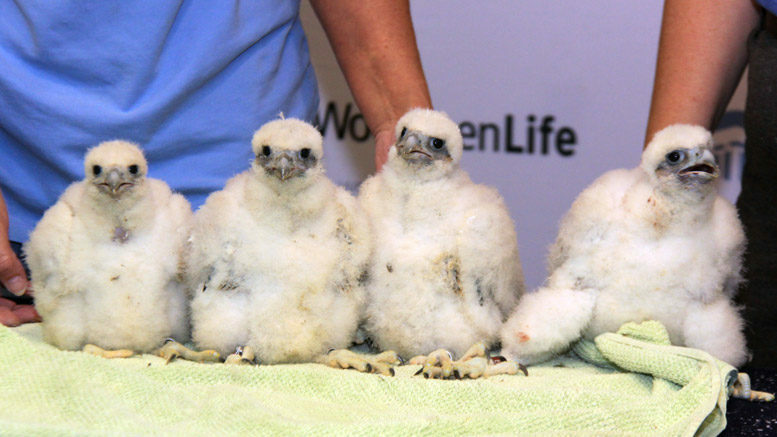 The WoodmenLife falcon chicks have been named: ABEL, IsABEL, AdorABEL, and CapABEL. Wendy Wees from Omaha, NE, submitted the winning names. She said she felt compelled to enter because of a series of coincidences. On May 19, the four WoodmenLife falcons were banded by Fontenelle Forest Raptor Recovery and the Nebraska Game and Parks, and it was determined that all four are female. Even more amazing, on that same day, 5-month-old Abel Falcon Protiva underwent a successful heart transplant at Children’s Hospital in Omaha. Baby Abel was born with a rare heart defect on Jan. 24. In addition to Falcon being Abel’s middle name, at one point in his journey at Children’s Hospital they were moved into a room with falcon artwork. It was where they got the good news that a heart was on its way. The WoodmenLife falcons provided the family with a small distraction during the wait. 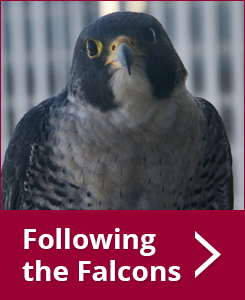 “We watched the falcons hatch while we were in the hospital waiting on a heart while his heart was failing,” Wendy said. Wendy’s names were among the five sets of names chosen as contest finalists. Those names received hundreds of votes in the Falcon Naming Contest on WoodmenLife’s Facebook page. 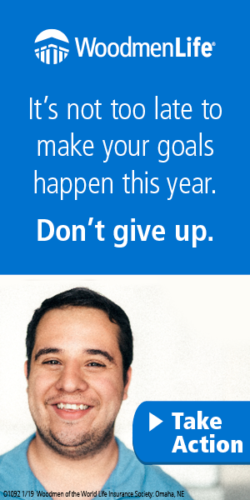 The family recently received even better news: the family goes home tomorrow! You can read their entire journey on their CaringBridge page and in this news story on WOWT. In addition to receiving a framed picture of the falcon chicks, Abel and his family will be invited to the falcon banding next year at the WoodmenLife Tower.